This Blender theme is the evolution of my old Tilestheme. Not so colourful and a bit more fitting to each other. The blueish flavour stays though. To install the theme first extract the XML file where you want. Then simply use the install theme button in the user preferences to browse to that directory and to install the theme. 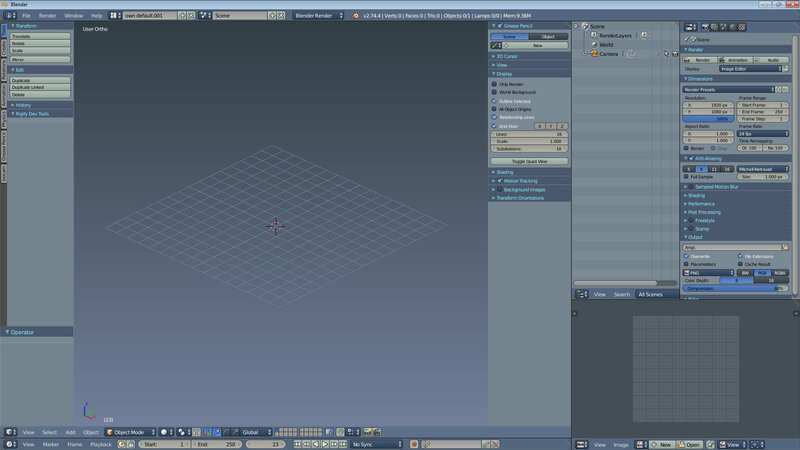 The current version is made with Blender 2.74. It can be that it doesn’t work with earlier versions. 9.11.2015 – Found some more flaws and fixed it. Download stays the same. 25.12.2015 – Found again some more flaws and fixed it. Download stays the same. 10.11.2016 – You always overlook something. Download stays the same.